Few things are better in this life than a rendezvous on the beach as the day wears down. 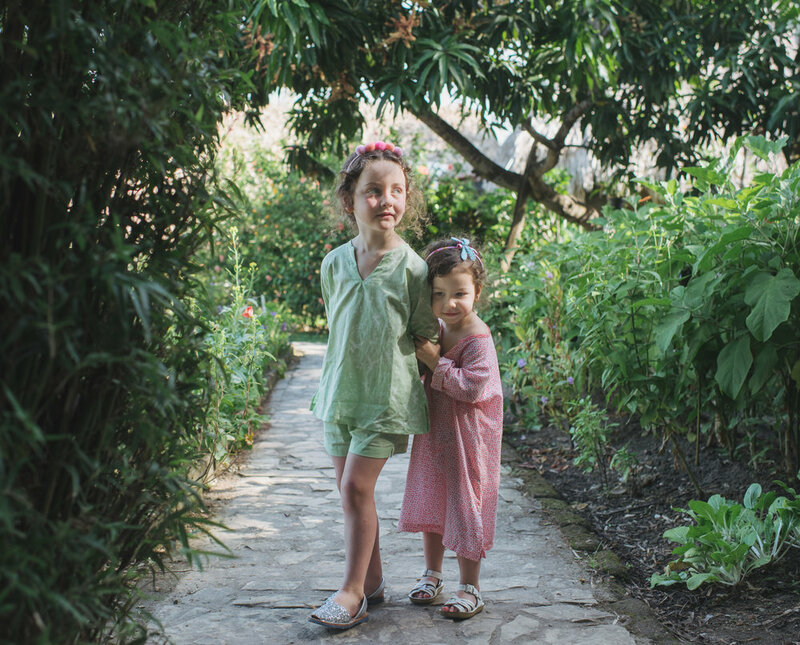 After hours spent slathered in sunscreen, we're eager to refresh body and soul with the invigorating line of bath products from French brand, Enfance Paris, available through the online retailer, MineMine Kids. With a collection of travel friendly products in tow, bath time is bliss wherever we may roam. Enfance Paris infuses our senses with the subtle and calming aroma of organic floral waters. As one who's sensitive to artificial fragrance, these travel size companions are a welcome delight to the olfactory glands. The brilliance of this line doesn't end there. What sets Enfance apart is their dedication to formulating age-specific shampoos and soap bars. Mila's 3-year-old locks are distinctively different than Elise's 6-year-old mane and Enfance wholeheartedly understands these differences. They've taken great efforts to meet the needs of each age group with 0-3 year, 3-8 year, and 8-12 year formulations, bringing a personalized touch to bath time. MineMine Kids has long been our go-to for the most comprehensive selection of unique childrenswear, toys, and the purest beauty products this side of the Atlantic. It is impossible not to find ourselves with an ever-growing list of favorites. This talented team of curators has made accessible a stunning selection of goods for the merriment of our family so we can spend more time enjoying one another.